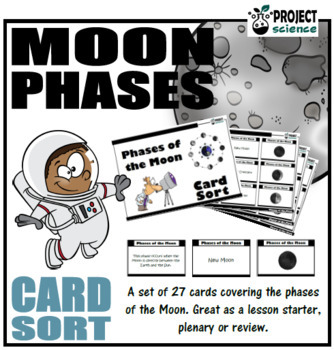 The Phases of the Moon card sort is comprised of 3 cards for each of the eight different phases [description, name and an image]. 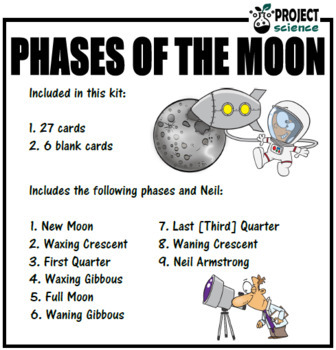 Simply print and then cut out the set of cards [laminate if you wish to make class sets]. Students then shuffle the cards and sort them into their correct sets. Comes 6 blank cards to add additional information. 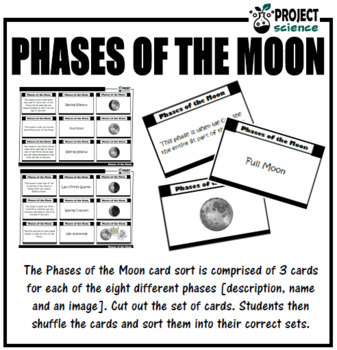 Works great as a starter activity, plenary or review. Could also be used for concentration and snap.